Practitioners, lecturers and students seeking informative articles coupled with breathtaking visuals only have to go online or turn the the pages of popular international publications featuring the finest contemporary architecture and interior design. With so many up and coming publications though, the quest for information can be a bit overwhelming. Nonetheless, there are primary architecture magazines, like famous magnificent monuments, that are admired throughout the years. 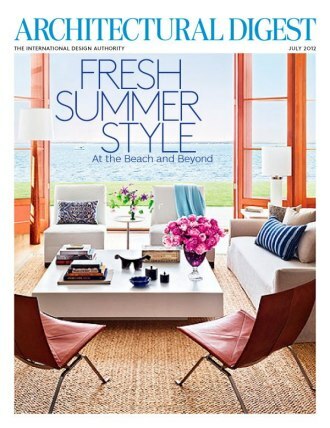 The Architectural Digest is an American monthly magazine founded in 1920. Its principal subject is interior design, not just architecture. The magazine is published by Condé Nast and addresses topics like design, celebrity style, travel and shopping information. Twelve issues are published per year. Dwell magazine was launched in 2000 and focuses on the function and the comfort of homes. People are encouraged to showcase their own homes and apartments in Dwell and concepts, elements and designs are featured in a classy and cultured style. Dwell encourages readers to be innovative with their designing ideas. “Here at Dwell, we think of ourselves as Modernists, but we are the nice Modernists. One of the things we like best about Modernism –the nice Modernism- is its flexibility. “While a lot of magazines show homes as pure space, so isolated from the particulars of geography or daily life that they might as well be constructed on a Hollywood sound stage, we think that the connections to society, place and human experience – call it context – are exactly what make good architecture great. Those connections are also what makes architecture interesting to people who aren’t architects.” Dwell publishes 10 issues per year. Architectural Record was launched in 1891 and functions as an informative news source for architectures, engineers and design professionals. It entails a variety of topics and combines the business and art sides of architecture. Architectural Record has a close relationship with the American Institute of Architects (AIA). eVolo is an architecture and design journal featuring technology, sustainable and creative designs. Modern ideas generated in schools and professional studios are discussed. Known for organizing a Skyscraper Design Competition eVolo publishes magazines twice per year. The Architectural Review was launched in London in 1896. It is an international architecture magazine, providing diverse and insightful coverage of topics such as landscaping, building design, interior design and urbanism. This publication was persuasive after the Second World War in raising awareness of urban design. 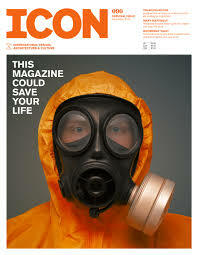 Icon is a design magazine created in 2003 featuring news, photos, and videos of some of the extraordinary works of architecture. Movers and shakers in the architecture field are featured as well as exhibitions, books, products, modern cultural movements and technological advances. It is published 12 times per year. For over seventy five years, Archis investigates the realities of architecture and it is based in Amsterdam, Netherlands. Archis now publishes an independent quarterly magazine called Volume which continues Archis, magazine for architecture, city and visual culture. This year 2015 marks Volume’s 10th anniversary. Domus is an architecture and design magazine that was created in 1928. The magazine is issued 11 times a year and has its headquarters in Rozzano, Milan. The first issue of Domus, was subtitled “Architecture and decor of the modern home in the city and in the country” and it was published in January 1928. The objective was to renew an interest in architecture, interiors and Italian decorative arts without disregarding topics of interest to women, like the art of homemaking and gardening. In 2000 the Italian and English magazine could be viewed online. Azure was launched in 1985 and features current architecture and design. The magazine is based in Canada but has earned a global reputation as it has an international coverage. Azure features interiors, products, landscapes, urbanism and architecture. Azure releases eight issues per year and it is a distinctive magazine on contemporary design. Metropolis Magazine covers a massive array of design-related topics, ranging from interior and graphic design, to landscape and architecture. It is published 11 times per year. Within the pages of magazines, readers are exposed to idea, concepts and themes that transcends borders. A deeper understanding and wisdom from experts in the industry can be further appreciated. Likewise the ten widely commendable architecture magazines listed above, integrates various aspects of architecture. These magazines not only feature what transpired in the built environment, they not only highlight the icons in the architecture industry or their famous clients like Prada, but provides in-depth knowledge about the current culture and also gives reasons why architects make certain decisions.